50’s retro house for events! Elvis and Marilyn + Showgirls! 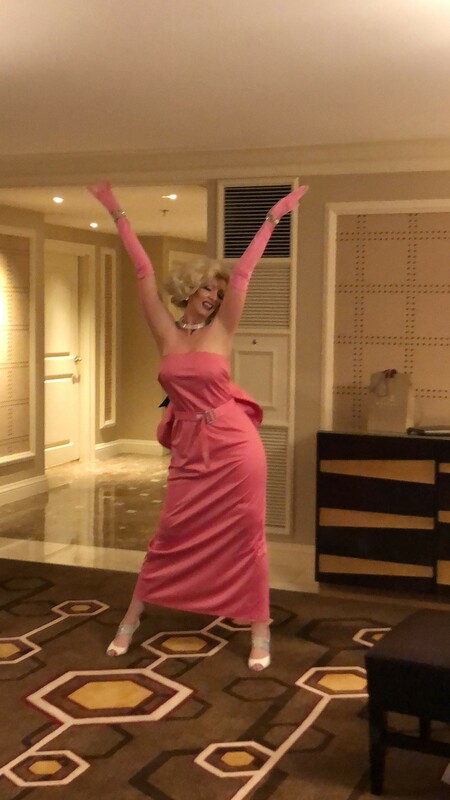 Angel is a former model with the beauty, elegance and curves of Marilyn Monroe (37-23-37) and is currently the #1 Look-Alike/impersonator in Las Vegas and SoCal. When attending an event Angel will arrive on time and stay as long as needed to ensure everyone has a chance to mingle and get pictures together. Angel can perform to most any Marilyn song in the same way as Marilyn performed it. Angel’s specialty is birthdays, she will sing a personalized version of "Happy Birthday" to the birthday guest while wearing the JFK Happy Birthday dress! You can expect a top notch beautiful Marilyn Monroe impersonator if hired for your event! "She Was Great"...Couldn't be better! Hired Marilyn Angel for an Executives birthday who is the President of the Company. Thought, hiring Marilyn to sing "Happy Birthday Mr. President" would be fun to do. She was great and performed well for our group. She was personable and her energy was great! I would Definitely recommend her to other companies. We booked Angel for our TV Show, and we couldn't be more pleased! Professional, on time, and she rolled with the punches! Angel took direction very well, and we would absolutely recommend her for directors and other tv/film productions. 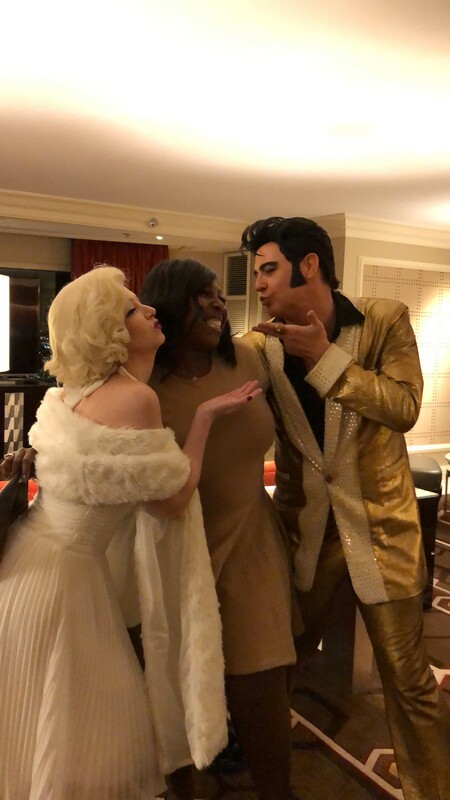 We had Angel as Marilyn for a "Night In Old Hollywood" dance and she, along with the Elvis impersonator, were amazing! She is simply beautiful as Marilyn and the students loved getting their photo taken with her. She even stayed a little bit past her 2 hours to mix & mingle with the students at their table. I couldn't have been happier with their performance & would highly recommend her & use her again! 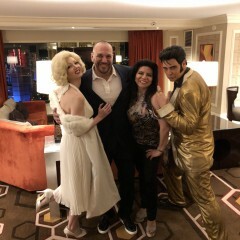 Marilyn, Elvis and Dean were great! On time, very professional, mingled well with our crowd and were very personable and fun. I would highly recommend them all. Marilyn & Elvis together we’re a bi hit! 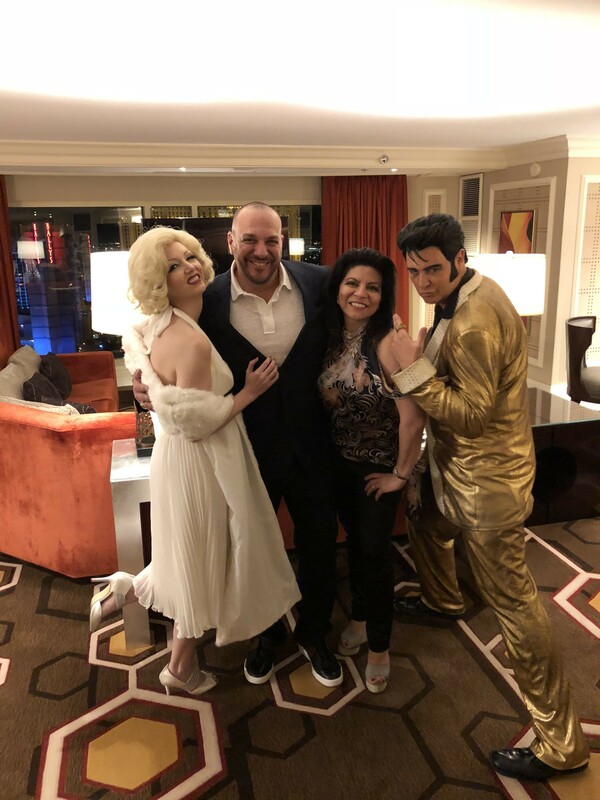 We had a small birthday party of 12 and Elvis and Marilyn didn’t miss a beat! They each performed solo and then together. They had the whole party engaged in the singing. They made the birthday girl feel special. Their finallly they had everyone in the party singing and dancing and They stayed after to took pictures with everyone. They were a big hit and we will use them again. Thank you!! GifsAlad you’re my go to for all parties big or small. Angel was fabulous and her visit to our corporate meeting was a huge success! Would definitely recommend. Angel was beautiful and sweet! 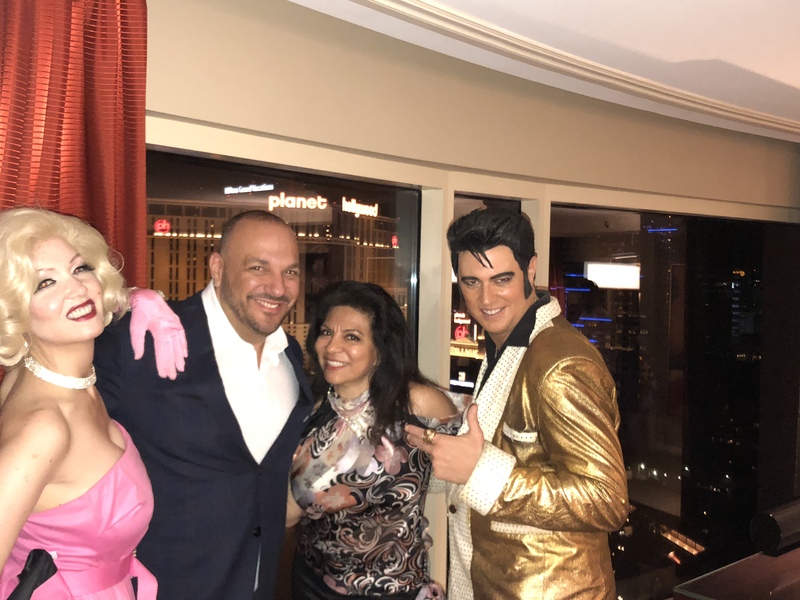 There were 6 grade school friends that celebrated their 70th birthday in Las Vegas and what better way to celebrate than with Marilyn. It was fabulous! Angel was beautiful, sweet and made the boys birthday a memory for ages! Marilyn was a wonderful addition to our red carpet event. Not only did she look the part but had the mannerisms to follow. She was very personable and I would recommend her for your next event. Thank you! 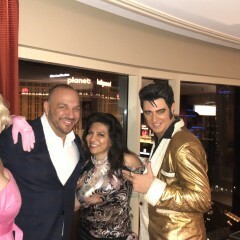 Elvis and I had a great time with everyone! 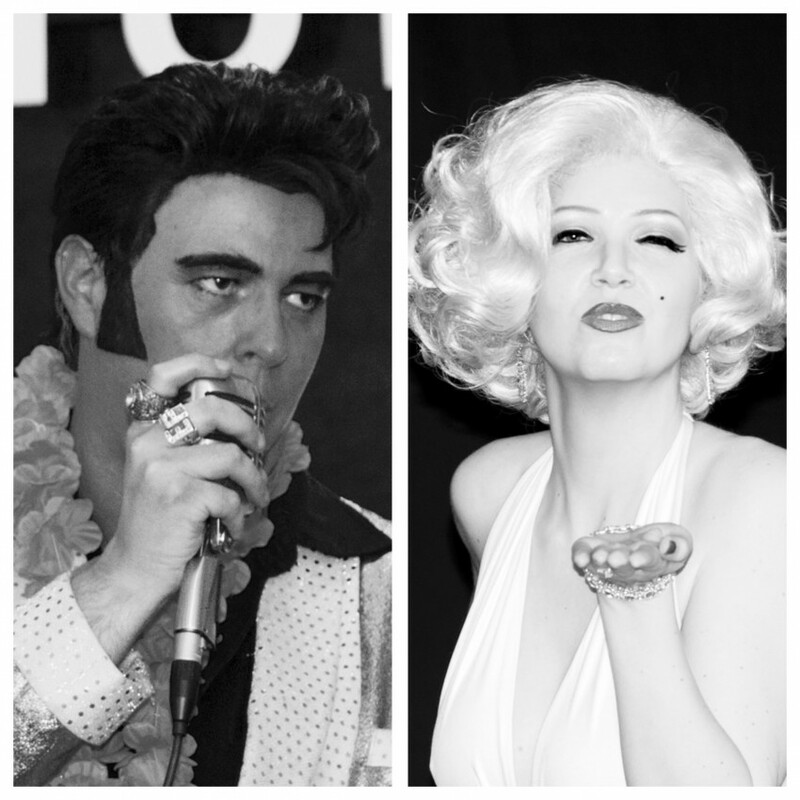 We hired 'Marilyn' and 'Elvis' for our corporate event and received absolutely glowing reviews from our guests!!! The pair were extremely lively, performed perfectly and engaged everyone with superb personality! I would recommend Marilyn and her counter-part Elvis to anyone looking for "real-deal" impersonators! I cannot wait for another occasion fitting to hire the pair again! We enjoyed having Angel perform as Marilyn Monroe. She was professions and the people loved the extra time she stayed for pictures. Marilyn ( Angel) done a great Happy Birthday performance for our nephews 21st birthday. This was a last minute decision with my husband and I, last minute being the day of his surprise birthday party. Her manager worked very hard to help us pull this off. Marilyn drove 2 hours to make this party and was there before the promised time. The performance she gave was loved by all. She looks, acts and sings just like Marilyn Monroe. Very sweet lady. Great memories for our nephews 21st Birthday!! Thank you both for your professionalism. Definitely got our money's worth. She arrived on time, was very professional and sweet. Looked great and all the guests enjoyed her. A bit pricey but all went off without any glitch even though I booked only two days previous. Her manager was very throrough and professional handling everything for her, too. Thank you! 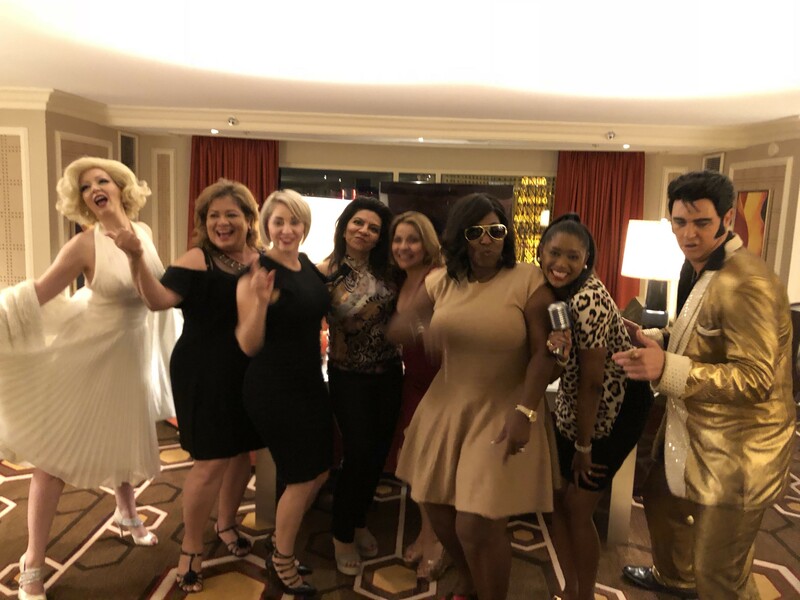 Our company hired Elvis and Marilyn impersonators. 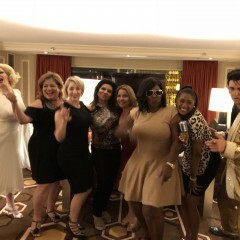 We had a blast ! Elvis demonstrated a flawless performance. He sang very well and looked the part. When I first saw them I was automatically impressed. He worked the crowd getting everyone involved. Elvis instantly ran the show leaving the personnel with nothing to worry about .We were able to enjoy the show without having the burden to introduce or direct anything. Elvis was accompanied with a guitarist who just made the impersonation even better. Marilyn was lovely , funny and wore the white dress that is so famously known. Her performance was appropriate for a company environment. Very cute ! They were affordable and kept in touch through out the entire process making them easy to work with. I would definitely hire them again. Loved it loved it loved it !!! 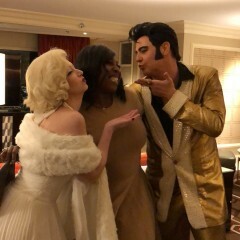 Elvis and Marilyn were a hit at our Christmas party. If I am hired for your event, you can expect me to be punctual and professional. You also can expect a top notch Marilyn Monroe look a like and performance. I am very sociable at events while maintaining the persona of Marilyn Monroe. My set list can be anywhere from 5 minutes to 30 minutes. I can sing Happy Birthday Mr. President and perform to Diamonds are a Girls Best Friend, Some Like it Hot, I Wanna Be Loved By You, and many more.